We were inspired by the Act of Kindness campaign that has kicked off, due to a tweet from NBC News’ Ann Curry. WriteSteps is participating in the campaign in a number of ways. To kick it off we came up with writing prompts to help students express themselves during a time of grief and/or tragedy. Writing can be very therapeutic and is a wonderful tool for students, especially when words can’t be spoken. Most experts tell us that when children experience grief and/or tragedy, it is wise to give them an opportunity to express their feelings. Because writing is a medium that we teach at WriteSteps, and something we are all passionate about, WriteSteps felt it was important to create a list of writing prompts that can help students during this time. Our suggestion is to model writing about something that was specifically upsetting to you. Then invite your students to do the same, leaving it up to the individual student to express his/her feelings in an individual manner. Keep your writing fairly general in order to avoid creating trauma or increased sadness. Our suggestion is to assign or provide one or more of the prompts listed below to help your students express their feelings through writing. Write about a time you or someone you know about felt grief or sadness. What happened? How was it dealt with? 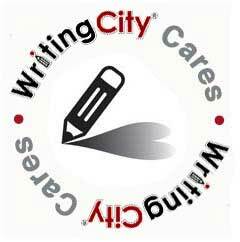 Write about a time something worried/upset you or someone you know about. Tell the reader how having courage helped overcome the obstacle. Write about a time when you saw or experienced courage in your life. Write about a time when hope helped you feel better about something that worried you or made you feel stressed. Write about something you are looking forward to. Write about what you are thankful for. Consider things you might over look or take for granted in your daily life. The WriteSteps team also wanted to include a writing prompt on bullying, with the hope that it will address an important topic in school and can help students open up about bullying and build empathy and tolerance. Write about a time you or someone you know about was bullied. Did anyone show tolerance or kindness toward the bullied student? What happened? How was it dealt with? We hope these writing prompts and ideas will help you with your students. What prompts do you use to help your students express their feelings during a difficult time? If you haven’t heard of the act of kindness campaign we strongly urge you to check it out. It inspired us during this time of tragedy and gave us hope for the future. We hope it does the same with you. If you found this blog useful please pass it along to others you think will also benefit!